Scare Products can help you with all your haunted house and Halloween needs offering everything from camo netting, foliage, body parts and special effects. Find it all here. 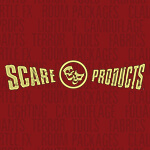 Check out the videos of Scare Products.